This 28 day Yoga Teacher Training was created by Pumula Retreat & Inner Wellness Studio to provide students of yoga a tranquil, natural space to learn and practise. The guiding intention of our teaching is to present a method that is accessible to people from varying backgrounds. We give special attention to the fundamentals of alignment in asana practice, using props as a support to deepen the experience of the postures. Essential to this approach is a mindful progression of vinyasa, preparing us to unfold harmoniously and intelligently in yoga. To promote balance in the body and mind we integrate the principles of restorative postures and breathing, which increase our capacity to truly rest and renew. Pumula Retreat is idyllically surrounded by nature, in the lush southern coastline of KwaZulu-Natal. To experience yoga surrounded by trees, wildlife, seashells and the ocean breeze inspires a more meaningful connection to nature and the simple things in life. In accordance with traditional yogic wisdom we will integrate the study of Ayurveda, the vedic knowledge of life and wellness. Our culinary team will create delicious and nutritious vegetarian/vegan meals that will support a balanced state of mind and body. A Residential Retreat Training gives us the opportunity to immerse completely into the study and practise of yoga. In the 28-days that you will be with us at Pumula Retreat we will cover 200 hours at a pace that is comfortably structured for a complete experience of learning in wellness. The schedule presented here is a general template of what our days will be like, but is tentative and may change slightly. We will do our best to do so in a way that is considerate to all participants. 3 daily vegetarian/vegan meals and healthy snacks. For the duration of the course: checking in the 31st of October until the 28th of November. Rates vary according to room selection. Complete our online registration/health history form. Under course code/name enter PumulaTTC19. Secure your space by making a deposit of ZAR 7,000. Balance is due by course start date (1/Nov). Flexible payment option available. There are 13 spaces available. Registration will close by 10/Oct or when course is full, whichever comes first. 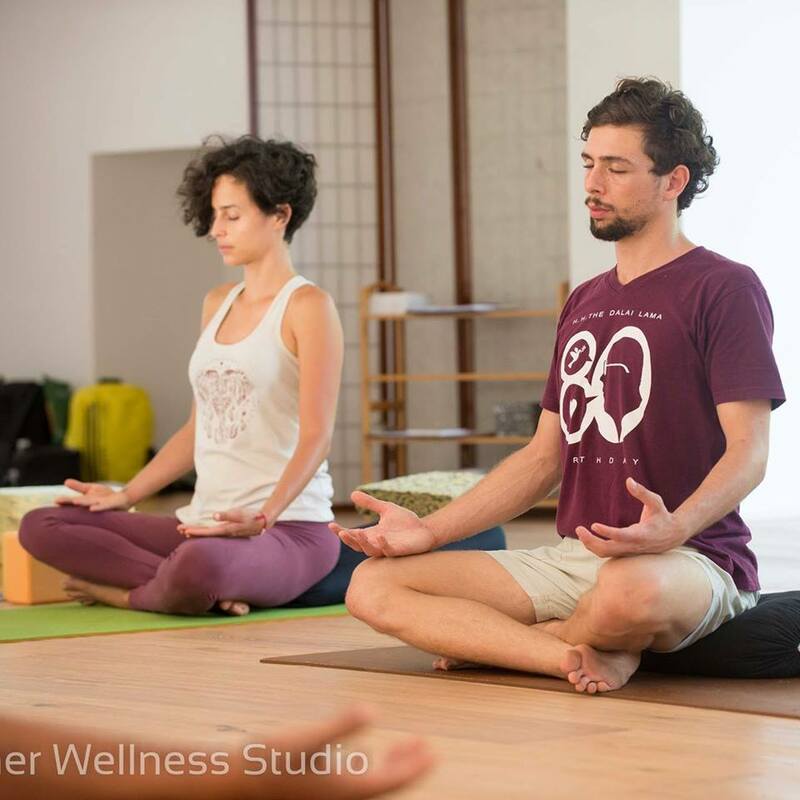 Diego Baldi is the founder and lead teacher of Inner Wellness Studio, a holistic wellness practise based in KwaZulu-Natal, specialising in integrative nutrition, yoga and teacher training. Diego first learned about yoga at the age of 13 when he accompanied his sister to a class one day. Later on she gifted him the book “Light on Yoga” by BKS Iyengar which further inspired him towards more conscious moving and living. Over the last 10+ years he has been practising, teaching and studying with people from diverse backgrounds throughout South Africa, Mozambique and India. Additionally, his love for food and nutrition has inspired numerous vegetarian cooking courses and workshops based on Ayurvedic principles for healthy eating and living. Maria Victoria relocated from Puerto Rico to South Africa in 2017. In 2016 she traveled to India with the intention of immersing herself into the study and practise of yoga - after having stumbled into the practice in 2013, when an injury to the tailbone demanded a complete change in lifestyle. In 2016 she completed a 200hr Yoga Teacher Training in Rishikesh and continued with her practise and studies in the south of India, where she began to engage with ayurvedic diet and lifestyle principles. It was there where her path crossed with Diego’s and she decided to travel to South Africa and continue her studies with Inner Wellness Studio. She draws from her background in social sciences and education to promote an engaging, supported, and inclusive learning environment. Her personal experience with yoga for menstrual health has inspired her to share this transformative knowledge and integrate it into her teaching. Inner Wellness Studio has been conducting Yoga Teacher Training since 2014, offering over 2,400 hours of study, practise and inquiry in yoga to students from South Africa and abroad.